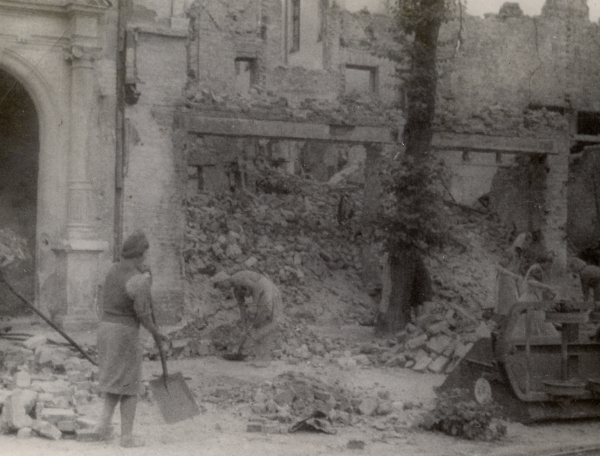 Women at work cleaning up rubble in Gdansk, Poland, July 1946. Photo credit: Richard Musselman. Women at work cleaning up the rubble in Gdansk, Poland in July 1946.